Millionaire Jared Otieno was last year the talk of town after he did the unexpected during the day he took dowry to his wife’s home. 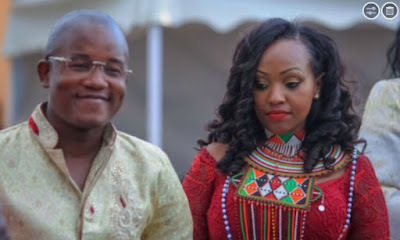 The luo tycoon who has never shied from the general public to flaunt his financial muscles was accompanied with a fleet of expensive guzzlers including choppers to Meru to pay his bride price. Later the same year the duo walked down the isle in a colorful expensive wedding. Well if you think you have enough of him, your yet to know what his pocket can do. 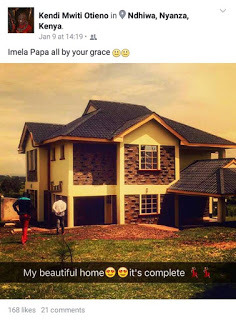 His wife Kendy took to social media to flaunt their newly built house thanking God for the blessings.